I have a bright and colourful card to share with you today. I paired the fabulous new set, Party Patterns stamp set with Blu Raspberry, Daffodil, and Razzle Berry Premium Dye Ink. 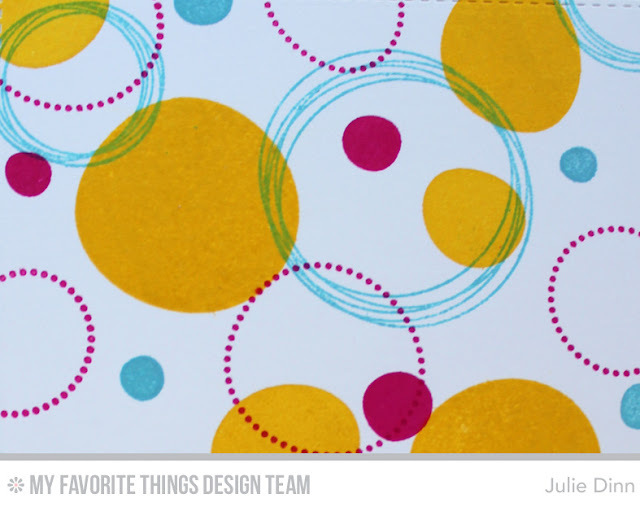 I stamped the circles randomly on a piece of Smooth White card stock. 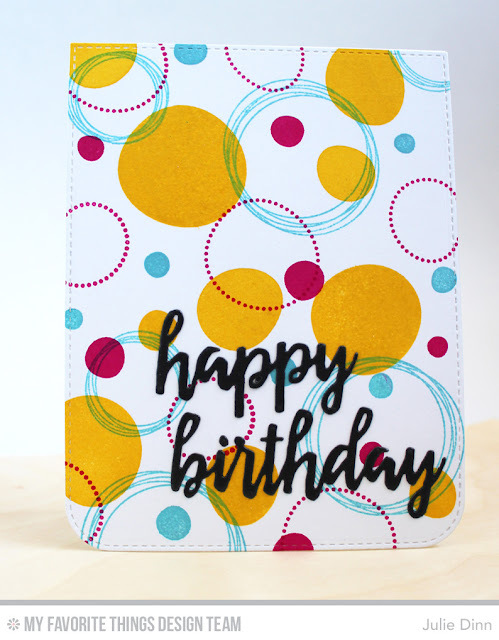 The sentiment was die cut with the new Brushstroke Birthday Greetings Die-namics. Love all the fun colors and designs. Happy card! Great use of color. Thanks for sharing! What a fun card to celebrate a birthday. Love the colors you used. Those circles, I really like them. your card is amazing, with a beautiful colors!!!!!! When I first seen this stamp, I have to say I wasn't sure that I liked it. Too abstract for me. Seeing all these fun colors everyone is using with the image, I love it. I really do.